Amoebapalooza is that magical time of the year when Amoeba Music San Francisco joins forces with fellow Amoebites to bring you the best show in all the land. 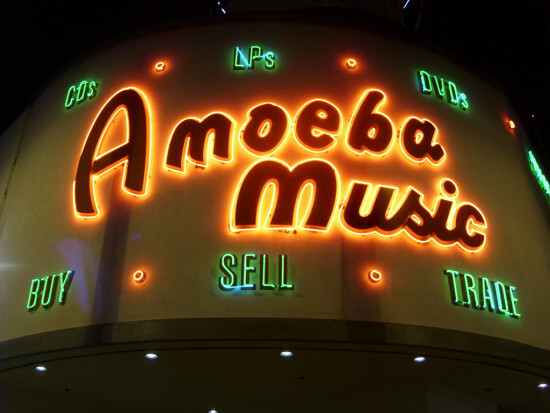 This annual celebration of the talented Amoeba employees and FOBs (Friends of Amoeba) is always a hoot and this year’s line-up is action-packed. From a provacative live reading by author Jon Longhi to a screening of filmmaker Steven Anguiano’s short film to raucous live sets from Use Kleenex (Kleenex coverband), Top Fo’ties (AKA Jesus Dude Mom), novelty rock giants Alan’s Cousin, Combo (Michael Cruz and Keith Frerichs), Eli & Adam Play Folk Music, and a mysterious project called I Have Crabs, this is shaping up to be one of the most legendary nights yet. Admission is $5 for the general public. Doors open to the public at 7 pm and the show starts at 8 pm. 21+ over only.